Back-to-school time is upon us, and with the freshly sharpened pencils and crisp wide-ruled paper also come the frightening anticipation of returning to dance. While most studios offer some sort of summer intensive and many dancers go away to professional intensives, chances are many young dancers spend a good chunk of summer putting in serious time on the sofa. Sure, taking a break is a great idea, but going from little or no daily activity back to three, four, or five days of dance per week can put a strain on the body that can be avoided by easing back into form. With summer swiftly coming to a close there are a few things dancers can do to ready themselves for fall dance classes, while still celebrating your final days of freedom! Swimming is great exercise, and there are several ways to enjoy it besides swimming laps. 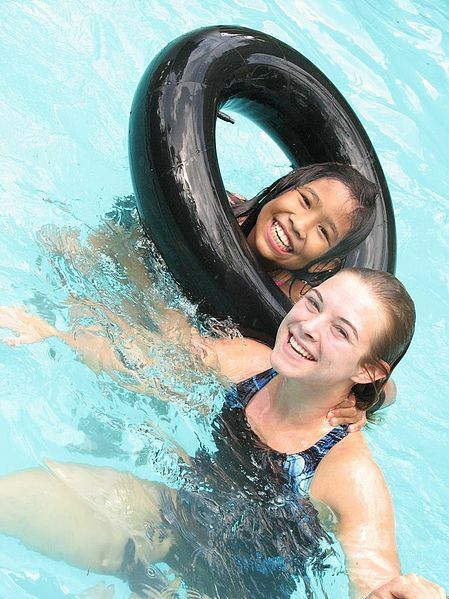 Try an aquatic fitness class at your local health club, or do a mini dance class in the pool! The no-impact environment in the pool will be easy on your joints, and the resistance of the water on both sides of the body are great for getting back in shape. Zumba®, a high-energy group fitness class based on Latin dance moves, is all the rage in the fitness industry these days. There are a number of other group classes that pull principles from hip-hop, jazz, and ballet. Many health clubs and community centers offer promotions, coupons, Groupons, and day passes to try classes out for free! Many private Yoga and Pilates studios offer free 7-day passes or trial sessions. Any combination of stretching and strengthening will wake up your body and get it ready for dancing. For awhile I’ve been touting the positive effects of cross-training for dancers. Bootcamp has become a popular form of building all around fitness, and is a great compliment to dance training. It can also help you rebuild the strength and stamina you’ll need when you go back to dance class. The Dance Advantage team has some great ideas in the archives for simple exercises and activities you can do at home. Work out your arms and legs with some dance homework, and check out the Youtube channel for tips, exercises, and inspiration. Don’t be afraid to work out your brain, too! There are some great books for readers of all ages to enjoy exploring dance technique, history, and biographies of famous dancers. Not to mention all the other wonderful dance blogs out there! Simply following the philosophy of moving more and sitting less will help get your muscles moving again, and little things like riding your bike, running up the stairs, and playing with the dog add up to create a big payoff when you go back to class. You can make your daily dose of activity a little more dance-specific by stretching while watching TV, or balancing on one foot brushing your teeth. 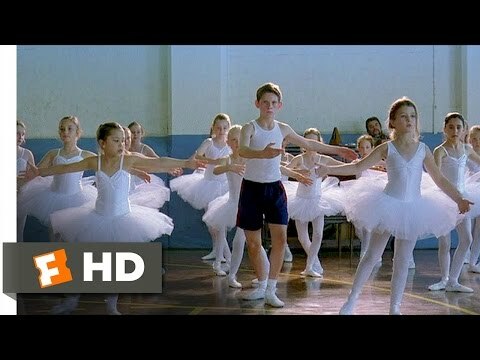 After all, Billy Elliot perfected his pirouettes in his bedroom, not at the barre! However you choose to prepare, going back to dance in the fall is not something to be nervous about. Teachers know that you’ve likely taken time off, and as they get older many dancers crave the sore and achy muscles you can only get from attending a great dance class. 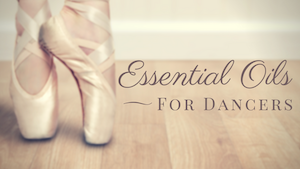 How do you prepare for going back to dance classes?